Email seems to be one of those things that modern offices generate a lot of. 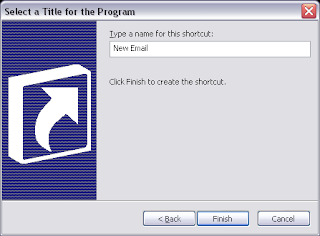 Thus when I found an article on how to make a shortcut for new email I figured I’d share. 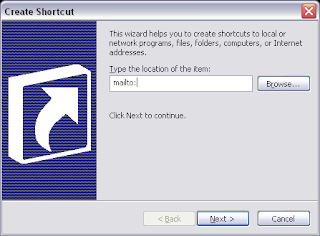 The first step is to right click on the desktop highlight New and select Shortcut. Then Name your shortcut. 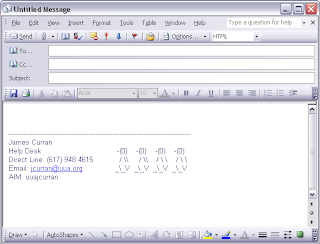 As you can see with a nearly uncontrolled burst of creativity I called mine “New Email”. That’s it: click Finish and you’ll have a new shortcut. 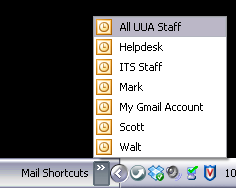 In it they explain how make your shortcut include: To, Subject, CC, BCC, and even a preset message. If you think it’ll help take a look here.